London South Bank University (LSBU) graduate and Knowledge Transfer Associate Catarina Marques has won the Business Leader of the Future Award in Innovate UK’s Knowledge Transfer Partnership (KTP) Best of the Best Awards. The award recognises Catarina’s outstanding work on LSBU’s KTP with Adande Refrigeration, which developed and delivered a specially designed tempering cabinet that incorporates Andande’s original drawer system. She also developed a New Product Development analysis tool to help Adande better develop products with greater return on investment. “I am really pleased and proud to receive the Business Leader of the Future award. This achievement would not have been possible without the fantastic support from LSBU, Adande and the KTP advisor,” said Catarina. 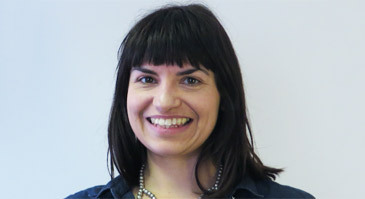 Catarina graduated from LSBU in 2012 with a PhD focusing on novel design and performance enhancement of domestic refrigerators with thermal storage. She worked on the KTP with Deborah Andrews, Senior Lecturer in Product Design at LSBU, and was nominated for the award by Jan Stringer, her KTP Advisor from Innovate UK. “Catarina has gone above and beyond her role as a KTP associate. This award is further testament to the fantastic work she has done with Adande in bringing about innovation in the refrigeration industry,” said Neil Pearce, Head of LSBU’s Knowledge Exchange Institute.